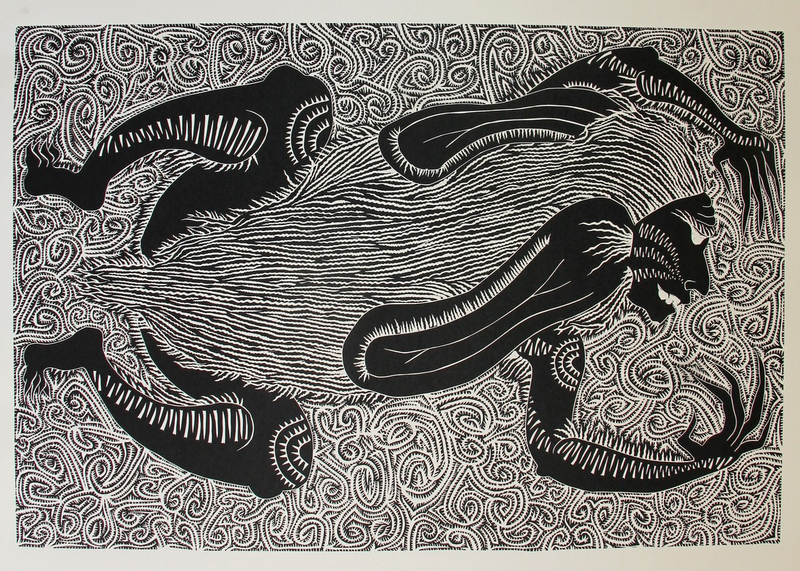 The last decade has seen printmaking arguably become one of the most recognisable visual forms of cultural expression in the islands of the Torres Straits. 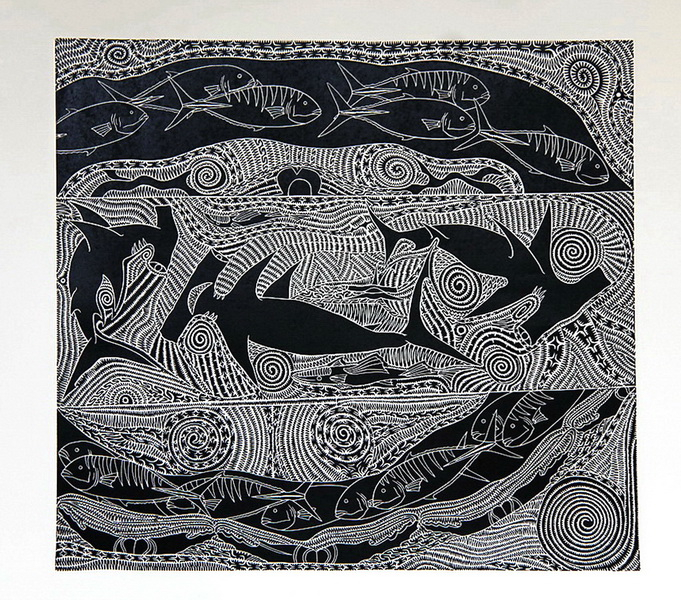 Unknown as a medium in the region until pioneered in the early 1990s by Badu artists, Dennis Nona and Alick Tipoti, guided by respected printmakers Anna Eglitis, and later Theo Tremblay, printmaking has a strong presence in the islands. The humble printing press is now found on many of the small islands with local artists developing skills to print their own work whilst striving to find their own unique style. 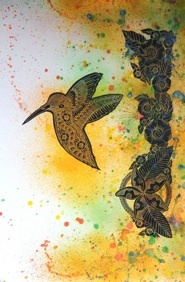 Drawing on the region's unique ability for adaptation and innovation, printmaking has struck a chord where artists, both young and old, are comfortable to interpret their contemporary and traditional culture, myths and legends on to a piece of lino. 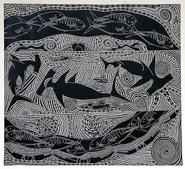 Lino, as a medium, has been found to be the easiest and closest way for Torres Strait Islanders to represent and express their traditional designs found in rock paintings, carvings and other artifacts. 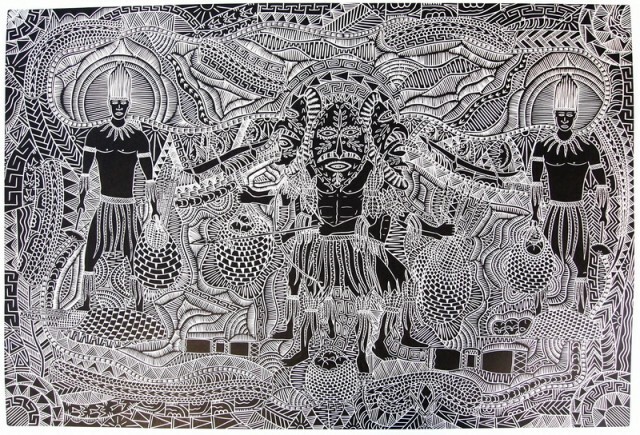 This exhibition represents the next generation of Badu artists recently introduced to the medium and depicts island culture, lifestyle and legends.